Mattawan Schools! 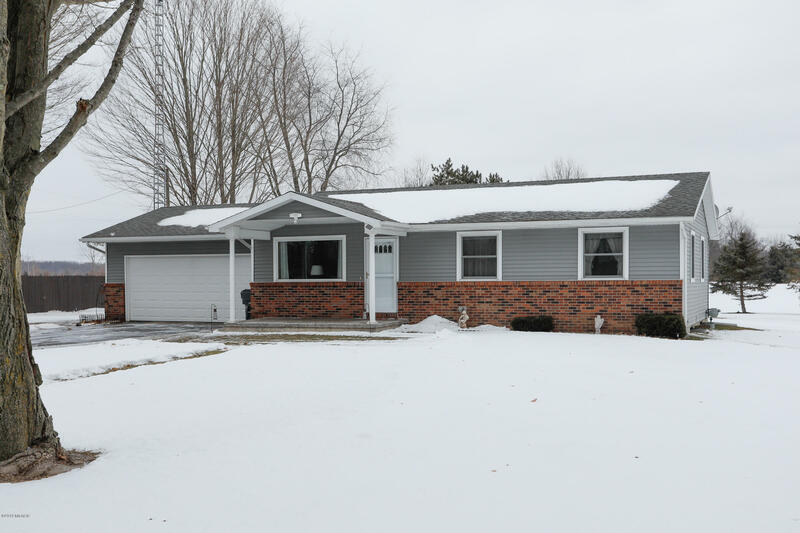 This well-maintained 3 bedroom home is situated on over 5 acres. The main level has an open-feel living room with picture window and large passthrough to L-shaped eat-in kitchen with slider to back deck, 3 nice sized bedrooms and full bath. The basement offers a finished family room with gas log fireplace, a laundry area, an additional room and plenty of storage space. The rear deck with pergola faces the beautiful 5 acres with open and wooded space which afford glimpses of deer and turkey. The attached garage has 2 bays and the heated & insulated 800 sqft barn has room for additional vehicles. New furnace and air conditioner, house is wired for generator and is very well insulated. Schedule your showing today!